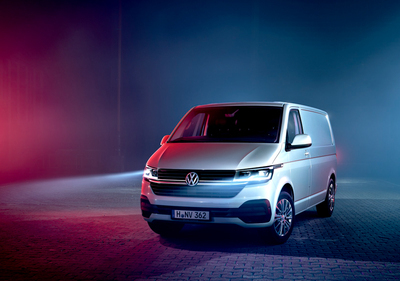 HANNOVER/MUNICH - April 8, 2019 – Following the world premiere of the Multivan 6.1 in February, Volkswagen Commercial Vehicles is showing the new Transporter 6.1 for the first time today in Munich. The setting for the debut, which in engineering terms has been largely redesigned, could not be a better one: ‘bauma 2019’. It is regarded as the world’s largest trade fair for construction machinery and appliances of every kind. 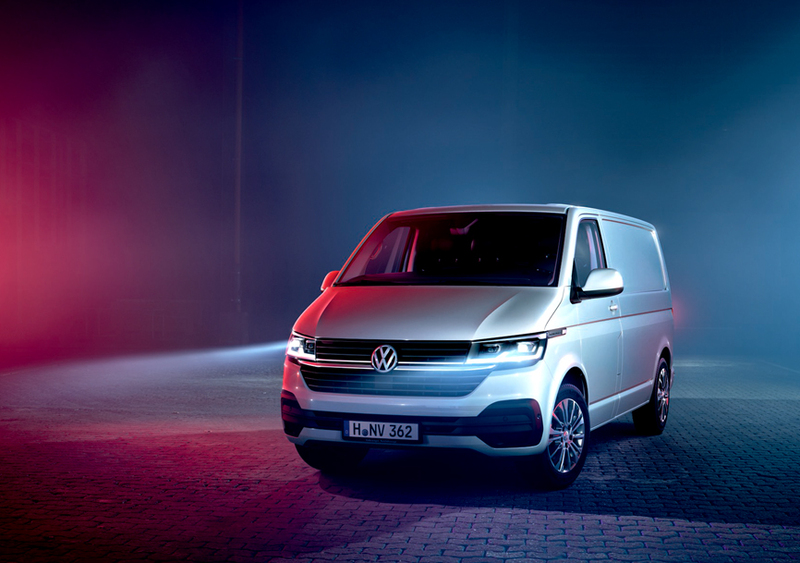 From 8 to 14 April over half a million visitors are expected from more than 200 countries – Volkswagen Commercial Vehicles will thus be showcasing the new Transporter 6.1 to experts from all over the world. The new Transporter 6.1 debuts in Munich with an unparalleled variety of vehicle body variants: as a panel van, a Kombi and as a single or double cab pick-up. With such variety Volkswagen Commercial Vehicles is offering the perfect vehicle for every purpose and a solution for every individual transport challenge in this sector. Volkswagen Commercial Vehicles consciously chose the suffix 6.1 for this far-reaching update of the sixth Transporter generation. That's because the technical changes made go way beyond any normal model update. An example of this is seen in the switch from hydraulic to electro-mechanical power steering – a system replacement so complex that it normally happens within a product line only when moving completely to the next generation. As a result of the electromechanical steering, a fully new spectrum of driver assistance systems and thus a significant increase in safety and ease of use are introduced to the product line. The new assistance systems include technologies such as Lane Assist (actively keeps the vehicle in its lane), Park Assist (enables parking with automatic steering), side protection (warns if getting dangerously close to obstacles or pedestrians), Rear Traffic Alert (provides protection when reversing out of a parking space) and Trailer Assist (thanks to automatic steering makes manoeuvring with a trailer child's play). The range of new systems is supplemented by a dynamic Road Sign Display function (available in combination with navigation system). Another standard feature of the panel van and Kombi is the new Cross Wind Assist system. It stabilises the Transporter 6.1 if it gets caught by a strong gust of wind, for example on a bridge. Also fitted as standard: the Post-Collision Braking System and Hill Start Assist. Over and above this, everyday work with Transporter 6.1 has been greatly enhanced by new features in the redesigned cab. These include a 230-volt electric socket by the driver's seat and a lockable compartment under the double bench seat on the passenger side. In addition, a new way of loading long items of cargo has been devised; they can now be pushed under the double bench seat on the passenger side (under-seat loading function). This increases the maximum cargo compartment length from 2,450 mm to 2,800 mm and with the extended wheelbase from 2,900 mm to 3,300 mm. The Transporter 6.1 is also equipped with a separate cargo space locking system as standard (panel van and Kombi with bulkhead). This allows the cargo compartment to be locked up separately from the cab. Option 1: Only the cargo compartment is locked (‘Postman’ mode) Option 2: Only the cab is locked (‘Workshop’ mode). Coming later is a "Courier package" featuring an extremely robust layout for vehicle parts subject to high stress, such as the alternator, battery and drive shafts. The standard specification of the Transporter 6.1 has been significantly enhanced. 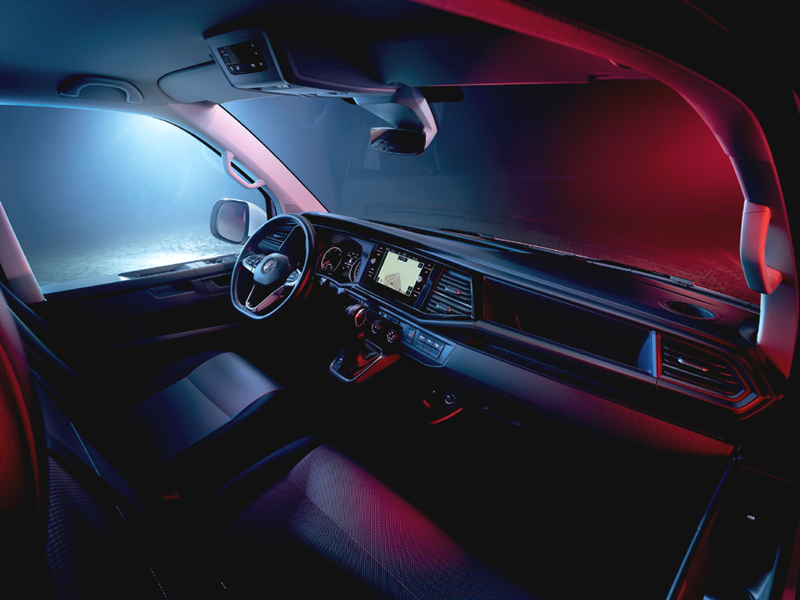 Added as new features on all versions are electric windows, central locking, electrically adjustable heated wing mirrors, new H7 headlights, bright, energy-efficient interior lights using energy-efficient LED technology and the Composition Audio radio system with Bluetooth hands-free function. Volkswagen Commercial Vehicles has tailored the workspace in the Transporter 6.1 to the requirements of the digital world. Now available as an option is the third generation of the modular infotainment matrix (MIB3). Its new systems enable use of completely new applications and online services. The most important feature of the new vehicle electrical system architecture is an integrated SIM card (eSIM). This eSIM opens up a new array of Web-based functions and services. The Transporter 6.1 is being launched with efficient 2.0-litre turbo diesel engines. The 2.0 TDI engines deliver 66 kW / 90 PS, 81 kW / 110 PS, 110 kW / 150 PS and 146 kW / 199 PS respectively. They all fulfill the Euro-6d-TEMP emissions standard. The 150 and 199 PS versions will optionally be available with all-wheel drive (4MOTION). Based on a partnership with ABT, the Transporter 6.1 will also be offered as a zero-emission vehicle (82 kW / 112 PS) with a payload of almost 1.2 tonnes. Battery capacities of up to 77.6 kWh enable driving ranges of more than 400 km (NEDC) – making the electric versions ideal for commercial use in the urban world.